Sorry, this Irish doll is now sold out. This Irish girl doll features a shamrock nose along with a shamrock decorated dress. The Irish doll has green hair and is enhanced with jointed limbs. 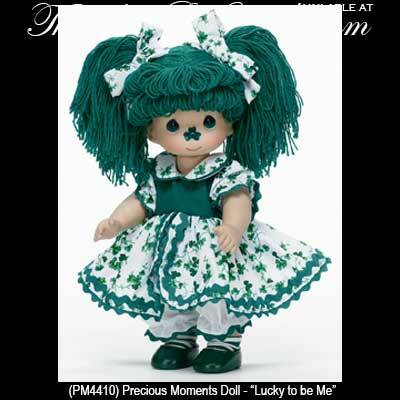 The Precious Moments doll is made of cloth and plastic and stands 12" tall.